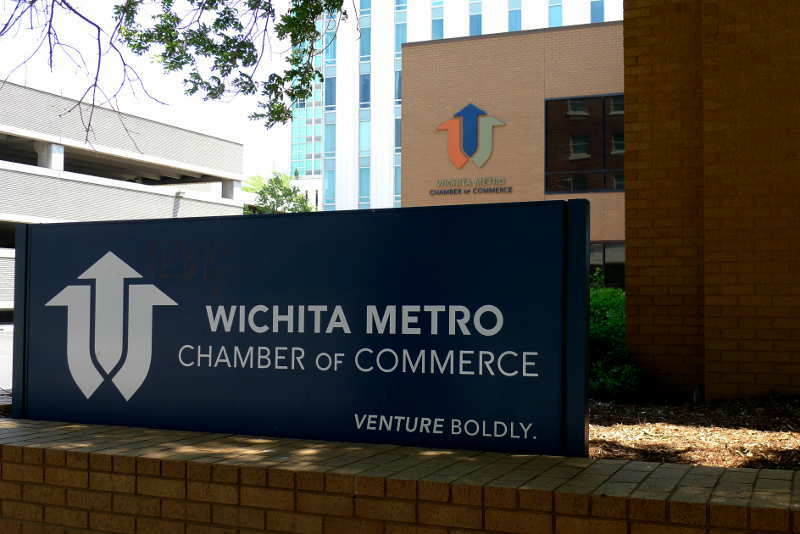 In an effort to avoid mistakes made in the past and inspire confidence in the process, parties wishing to receive economic development subsidies for projects in downtown Wichita are evaluated on a variety of measures. The evaluation matrix released for a project to be considered next week by the Wichita City Council, however, ought to be recalculated. It’s this ownership team that ought to cause the city concern. Two of the evaluation criteria are “Past project experience with the City of Wichita” and “References, especially from other municipal partners.” This development team was awarded the maximum number of points possible for each (points being a positive measure). Here are a few things that the evaluation committee may not have considered when awarding these points. Despite these two cost overruns on city projects, Wichita Mayor Carl Brewer wrote in a letter recommending Key Construction on a different matter: “Key is known for their consistent quality construction, budget control and on schedule delivery.” Maybe that’s what the evaluation committee relied on. Also, two years ago Key Construction proposed — and was awarded by the city council — a no-bid contract for a parking garage. But the city later put the contract to competitive bid. Key, which first bid $6 million, later bid $4.7 million. This no-bid contract awarded to Key was cronyism in the extreme. If the desire of the majority of the city council, including Mayor Carl Brewer, had been realized, Wichita taxpayers would have sent an extra — and unnecessary — $1.3 million to a politically-connected construction company. 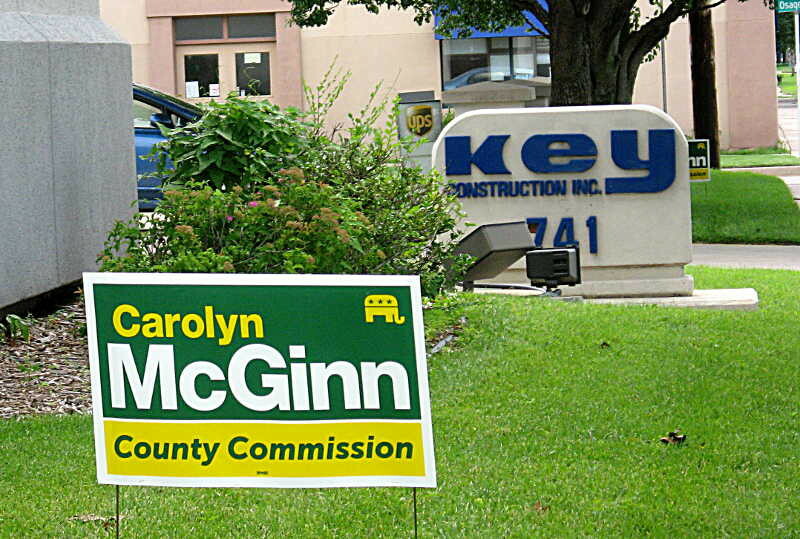 See Campaign contributions show need for reform in Wichita for an example of how Key Construction has mastered political cronyism. By the way, the mayor’s relationship with Wells means he should not participate in voting on this matter. Dave Burk, Dave Wells: These two were original partners in WaterWalk, which has received over $40 million in subsidy, with little to show for results. The manager’s quote is most directly damaging. In a tax increment financing (TIF) district, the city borrows money to pay for things that directly enrich the developers, in this case Burk and possibly his partners. Then their increased property taxes — taxes they have to pay anyway — are used to repay the borrowed funds. In essence, a TIF district allows developers to benefit exclusively from their property taxes. For everyone else, their property taxes go to fund the city, county, school district, state, fire district, etc. 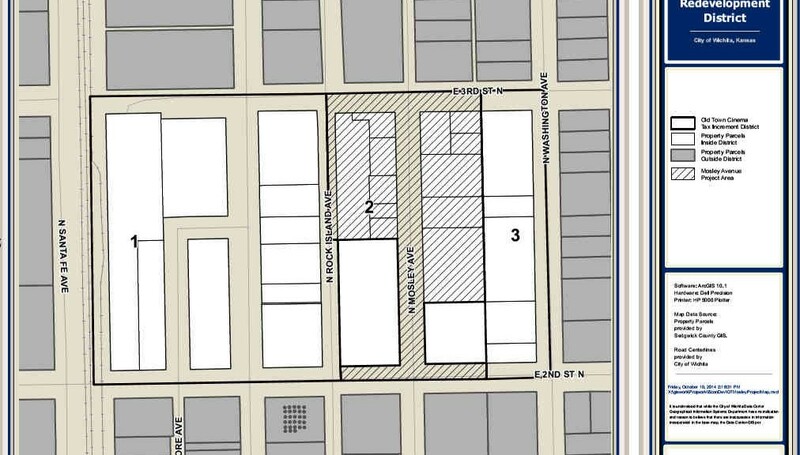 But not so for property in a TIF district. This is what is most astonishing about Burk’s action: Having been placed in a rarefied position of receiving many millions in benefits, he still thinks his own taxes are too high. Now he wants more city taxpayer subsidy. Besides Warren, you may — or may not — be surprised to learn that the theater’s partners included Dave Wells and Dave Burk, the same two men mentioned above. Also, Mayor Brewer’s relationship with Warren means he should not participate in voting on this matter. With the history of these parties working in public-private partnerships, the Wichita City Council needs to question the matrix delivered by the evaluation committee. At the October 31 meeting of the Sedgwick County Commission, Karl Peterjohn introduced a measure that would let the Kansas Legislature know that the commission supports improving the tax climate in Kansas, and specifically would limit property tax growth. But electoral politics forced a delay in a vote. In response to Peterjohn’s proposal, the coalition of one Democrat and two liberal Republicans that form the working majority on the commission maneuvered to delay voting on the measure until after the November 6 election. With the item appearing on tomorrow’s agenda, it’s very likely that the majority coalition — Commission Chair Tim Norton, Dave Unruh, and Jim Skelton — will vote against the proposal. Why the rush for delay? Norton was facing a vigorous challenge in the election. He couldn’t afford to cast a vote against property tax reform. With Skelton publicly supporting Norton, and Unruh doing so behind the scenes, the two Republicans supported their liberal Democratic fellow traveler in delaying the vote until after the election. But after the election, Norton is free to vote against property tax reform. Skelton and Unruh don’t face the voters for another two years, and they’ll be relying on the short memory span of most voters. 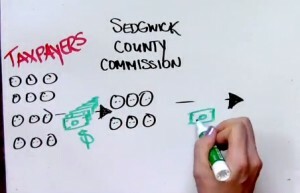 The sale of a radio tower owned by Sedgwick County reveals another case of local government not looking out for the interests of citizens and taxpayers, with the realization that the stain of cronyism is alive and well. As a result of system upgrades, the county no longer needs a radio tower located near 77th Street North and Interstate 135. Pixius Communications, LLC made an offer to purchase the tower and the five acre tower site for $280,000. 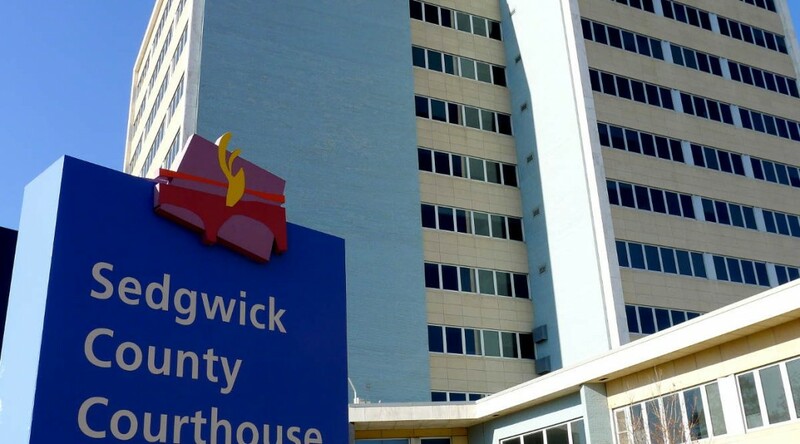 The county proceeded making arrangements for the sale, preparing a sales agreement contract between Sedgwick County and Pixius with a sales price of $280,000, along with several other legal documents necessary to support the sale. These documents are available at the agenda file for this item. According to sources, County Manager William Buchanan supported the Pixius offer. So did commissioners Dave Unruh and Jim Skelton. But commissioners Richard Ranzau and Karl Peterjohn felt that the best way to sell the tower was through an auction. So there was not a majority of three votes to accept the Pixius offer. Buchanan suggested the auction. All commissioners agreed. Now we know the results of the auction: A Florida company offered $610,000. After a sales commission ($55,000) and half of closing costs ($1,128), the county will net $553,872. That’s almost twice the price the county manager and two commissioners were willing to sell the tower for. There’s something else: What will be the appraised value of the tower and site for tax purposes? The selling price of a property is strong evidence of its value. As a result of the auction, therefore, this property is likely to be appraised at $610,000 instead of $280,000. That’s good for those who think it’s good for government to bring in more tax revenue. This episode is another instance where no-bid contracts and cronyism cost taxpayers. Maxwell, the almost-beneficiary of this sweetheart no-bid contract, has been the recipient of many benefits at taxpayer expense, such as tax increment financing and community improvement district taxes. 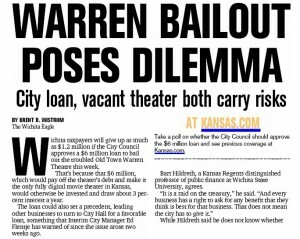 He’s tried for more, but even the Wichita City Council has a limit to its cronyism, now and then. 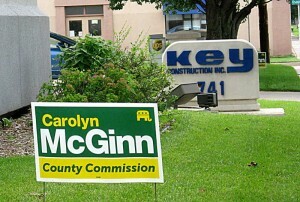 Although cronyism and no-bid contracts have been a problem at Wichita City Hall. Interestingly, a recent KSN Television news story characterized Ranzau and Peterjohn as “hardline fiscal conservatives.” The story went on to report “Incumbent Democrat Tim Norton often sides with the two more moderate members of the commission with many votes being decided by a 3-2 margin.” Those moderate members are, of course, Unruh and Skelton. Norton didn’t have to take sides — at least publicly — on this issue, but I’m confident that if this was not an election year for Norton, he would have voted for the original Pixius deal that we now see was a disaster for taxpayers. Unruh and Skelton are also businessmen. I hope these commissioners look after their personal business with more care and concern than they have shown for the business of taxpayers. Tuesday’s primary election in Kansas was notable for the large number of victories by conservative challengers over Republican senate incumbents. 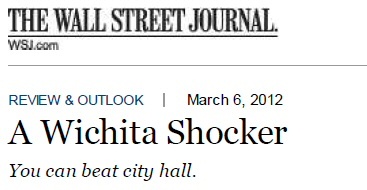 Also important is that voters in Wichita and the surrounding area rejected, for the second time this year, the culture of political cronyism that passes for economic development in Wichita. On Tuesday incumbent Sedgwick County Commissioner Karl Peterjohn defeated a challenge by Wichita City Council Member Jeff Longwell. The contrast was clear: Peterjohn with his long-time, outspoken advocacy for limited government and free market principles, although perhaps tempered a bit based on some votes he’s made. Longwell, however, advocates for “more tools in the toolbox.” In other words, a larger role for government in economic development and centralized planning. The result: Peterjohn won, 57 percent to 43 percent. Longwell had the endorsements of many Wichita-area politicians, including Wichita Mayor Carl Brewer and all other Wichita City Council members except Michael O’Donnell (district 4, south and southwest Wichita): Vice Mayor Janet Miller (district 6, north central Wichita) and council members Lavonta Williams (district 1, northeast Wichita), James Clendenin (district 3, southeast and south Wichita), and Pete Meitzner (district 2, east Wichita). Sedgwick County Commission members Tim Norton, Jim Skelton, and Dave Unruh also endorsed Longwell. In addition to these endorsements, Longwell had a large money advantage over Peterjohn. According to campaign finance reports filed July 30, Longwell had raised nearly $62,000. Peterjohn’s July 30 report showed about $20,000 raised, so as of that date Longwell had over three times as much campaign money at his disposal than Peterjohn. The money advantage and the endorsements are linked. On Longwell’s July 30 campaign finance report we learned that executives of a Michigan construction company made campaign contributions immediately before and after Longwell participated in a city council voted that benefited them. Key Construction, a heavy contributor to Longwell’s campaign, also benefited from Longwell’s vote that day. This was just another episode in Longwell’s history of voting for overpriced no-bid contracts and no-interest city loans for his large campaign contributors. The day after Peterjohn held a news conference questioning Longwell’s Michigan contributions, Longwell held the news conference that announced the above-mentioned endorsements. Many of those endorsers also receive campaign money from those they award with no-bid contracts and other taxpayer-funded largesse. Despite the advantage in campaign funds and the endorsements, voters in west Wichita and west Sedgwick County rejected the political cronyism that is Jeff Longwell’s legacy in government service. It’s the second time this year voters have rejected cronyism. In February Wichita voters voted down a tax giveaway to the Ambassador Hotel by a margin of 62 percent to 38 percent. When it came time for the council to set the date for the special election on the hotel tax, Longwell attempted to have the election commissioner set the date as early as possible, obviously thinking that a short campaign would benefit the hotel developers. Those hotel developers, by the way, included many of Longwell’s long-time campaign contributors. Since the Wichita City Council passed a resolution authorizing the formation of the Southfork tax increment financing district, the affected county (Sedgwick) and school district (Wichita) have an opportunity to veto the district’s formation. They don’t have to take action to approve the district — only silent assent is required. But they can take action, as Sedgwick County did in January, to cancel the formation of the district. At Tuesday’s commission staff meeting, commission chair Tim Norton along with commissioners Dave Unruh and Jim Skelton didn’t believe a public hearing was necessary the matter should not be placed on the agenda. That would mean the county gave its silent consent to the district’s formation. But after learning of that action, myself and at least two others contacted the county manager’s office and asked to be placed on the public agenda portion of the meeting, where citizens may address any topic. But late Tuesday someone at the courthouse had a change of heart or mind, and now there will be a public hearing on Wednesday May 9th on this matter. Strictly speaking, it’s not a public hearing, but the item will be on the agenda, and it’s anticipated that chairman Norton will allow the public to address the commissioners on this issue. I can understand (but not approve of) the motives of the three commissioners who approve of this district not wanting to hear members of the public speak against this item and their policies. Especially when the public has shown their skepticism on these matters, an example being the vote turning down an incentive for the Wichita Ambassador Hotel. In that election, voters repudiated the big-spending, big-government programs of the liberal Republicans on the Wichita City Council. If citizens could vote on the formation of this TIF ddistrict, commissioners Skelton and Unruh might find themselves in the same situation. This morning the Sedgwick County Commission voted to select member Tim Norton of Haysville as chairman for the upcoming year. Norton, a Democrat, received the votes of two of the board’s four Republican members: Those of outgoing Chairman Dave Unruh and Jim Skelton. Commissioner Karl Peterjohn nominated Richard Ranzau for the position, but he received only two votes. It may be remarkable that a board with a four to one majority in one party elected a member of the minority party to serve as chair, or it may simply be a reflection of the actual ideological makeup of the board. Peterjohn and Ranzau consistently take stances and make votes that favor limited government and free markets, while Unruh and Skelton generally join with the politically-liberal Norton on most issues. The chairman is more than just a ceremonial position, as the chairman presides over commission meetings. On many agenda items, the commission is not obligated to hear testimony from citizens, although it must when there are items that have public hearings required by law. It was the practice of Kelly Parks and Peterjohn, when they served as chair, to allow anyone who appeared at meetings to speak. In his term as chair, Unruh was seen as less accommodating, although I think that anyone who really cared to was allowed to speak, sometimes with a gentle admonition to hurry along. It is unknown in what manner Norton will run the meetings while he is chair. A hint: He’s objected to the term “ObamaCare” as pejorative, so I wouldn’t use that word around the courthouse. For Chairman Pro Tem, the commissioners selected Skelton. Ranzau’s name was placed into nomination by Peterjohn, and he received the same two votes as he did for chairman. The votes for Skelton by Norton and Unruh are surprising. Skelton’s recent behavior has been erratic, even bizarre at times. His recent appearance at the Wichita City Council (video here) brought laughter and guffaws from both the bench and the public. I got the sense, however, the people were laughing at Skelton, not with him. Chairman Unruh selected Visioneering Wichita as the recipient of the annual Chairman’s award. This organization is in favor of government intervention into the economy — and people’s lives — on a large and increasing scale. Most of the items on its legislative agenda involve more government spending. While Visioneering — its chair Jon Rolph, anyway — denies advocating for increased taxes, Milton Friedman has taught us that it is the level of spending that is the true measure of the size of government. The size of that Visioneering seeks to expand. Wichita petitions. At yesterday’s meeting of the Wichita City Council, the invocation featured a Bible verse that contained the phrase “Petitions, prayers, intercession, and thanksgiving be offered for those in authority.” I don’t think the speaker was aware of the irony, since petitions were delivered to city hall just the day before. 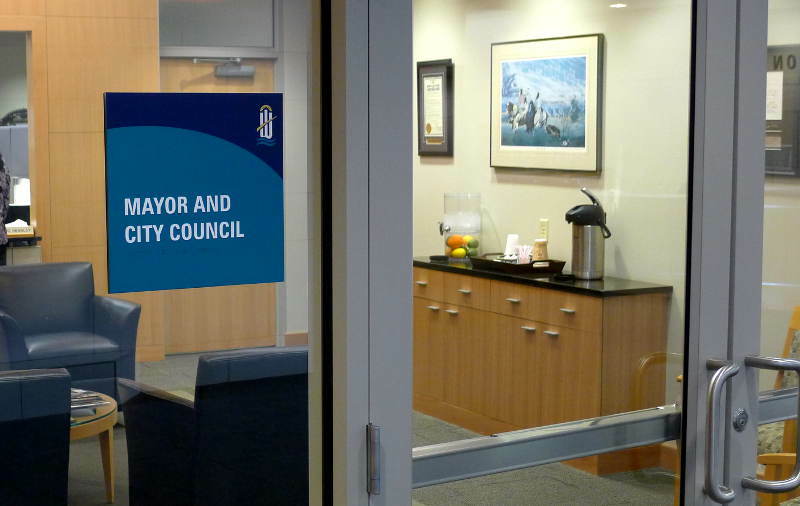 These petitions seek to overturn an action of the city council, and city leaders are not pleased that citizens took to the streets to gather signatures in opposition to the council’s action. Petitions being contested. Speaking of petitions, the developers of the Ambassador Hotel are calling those who signed the petition and asking them to rescind their signature. The signers are being read a script that claims a study by Wichita State University indicates that 978 jobs will be created by the project. At the time the hotel developers persuaded the Wichita City Council and other governmental units to grant them over $15 million in taxpayer subsidy, they claimed the project would create 100 to 120 jobs. More reporting by Bill Wilson of the Wichita Eagle at Clash over hotel incentives heating up. … Work started and continues on the hotel even though the subsidy targeted by the petition is in doubt, so it appears the hotel will open — and jobs be created — no matter what happens to the petition. Smart Taxpayers Exposing Waste. An initiative of the American Beverage Association is exposing ways in which government is spending money to run attack ads on the beverage industry. 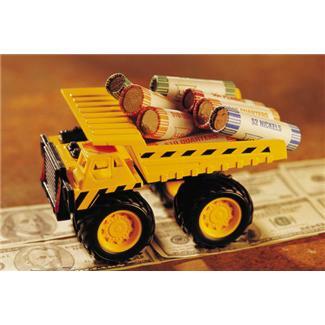 The claim is that $230 million of federal stimulus money has been spent in this way. The Facebook page, located at Smart Taxpayers Exposing Waste (STEW), holds many examples. Planning grant to be topic of meeting. On Monday December 12th Americans for Prosperity Foundation will feature Sedgwick County Commission Member Richard Ranzau speaking on the topic “The $1.5 million dollar Regional Economic Area Partnership (REAP) HUD Sustainable Development Planning Grant: Economic Development or Economic Destruction?” Some background on this item may be found at Sedgwick County considers a planning grant. This free event is from 7:00 pm to 8:30 pm at the Lionel D. Alford Library located at 3447 S. Meridian in Wichita. The library is just north of the I-235 exit on Meridian. For more information on this event contact John Todd at [email protected] or 316-312-7335, or Susan Estes, AFP Field Director at [email protected] or 316-681-4415. Kansas history writer to speak. This Friday (December 9th) the Wichita Pachyderm Club features Beccy Tanner, Kansas history writer and reporter for The Wichita Eagle, speaking on “The Kansas Sesquicentennial (150th) Anniversary.” The public is welcome and encouraged to attend Wichita Pachyderm meetings. For more information click on Wichita Pachyderm Club. … Upcoming speakers: On December 16: Kansas Senator Garrett Love. The youthful legislator, just completing his first year in office, will be speaking on “Young people in politics.” … On December 23 there will be no meeting. The status of the December 30th meeting is undetermined at this time. … On January 6: David Kensinger, Chief of Staff to Kansas Governor Sam Brownback. … On January 13: Speaker of the Kansas House of Representatives Mike O’Neal, speaking on “The untold school finance story.” … On January 20: Sedgwick County Commissioner Karl Peterjohn. Wichita City Council. 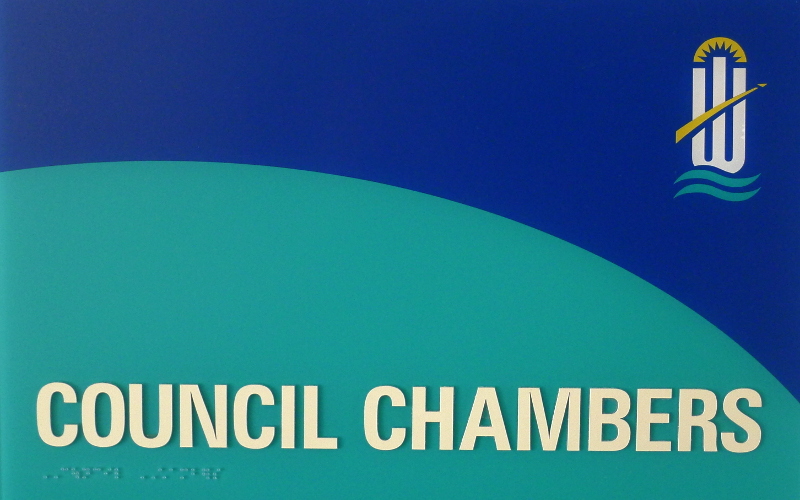 Some video from this week’s meeting of the Wichita City Council. First, my discussion of tax increment financing (TIF) districts. Then, click here for Clinton Coen and Wichita Mayor Carl Brewer’s discussion. Under the mayor’s leadership, things disintegrate. Finally, former council member Jim Skelton returns to Wichita city council chambers. Wichita trip to Ghana. KAKE Television reports that Wichita Mayor Carl Brewer believes the recent trip to Africa by him and others may result in sales of beef and airplanes. I wonder, though: don’t marketers of beef and airplanes know about Africa already? And who has the greater motive to sell, not to mention knowledge about the products that might meet African customers’ needs: sales reps for these companies, or politicians? … The most telling indication that this trip is more junket than anything else is that Brewer and Vice Mayor Lavonta Williams (district 1, northeast and east Wichita) paid for their own airfare. If this trip was truly good for the city, the city should pay all expenses for those who go, just as companies pay legitimate travel expenses for their employees. Register of Deeds returns funds. At this week’s meeting of the Sedgwick County Commission Register of Deeds Bill Meek returned $200,000 in unspent funds from his office. These unspent funds may be used by other county offices for “equipment or technological services relating to the land or property records filed or maintained by Sedgwick County,” according to the resolution passed by commissioners. Transaction fee, or interest? At the same commission meeting, there was discussion on the topic of the county charging extra fees for paying money to the county using credit cards. During the discussion, Commissioner Jim Skelton speculated that, depending on the card you have, there will be “$50 to $250 or more on interest” each month. The commissioner may not have heard that if you pay the entire statement balance each month, there won’t be any interest charges. Rep. Hedke, author of new book, to speak. This Friday (December 2nd) the Wichita Pachyderm Club features Kansas Representative Dennis Hedke speaking on “Energy and environmental policy.” Hedke is the author of the just-published book The Audacity of Freedom, described as an “unequivocal challenge to the Socialist-Marxist-Communist principles being pushed upon freedom loving Americans by entities and individuals both within and outside the United States.” In his forward to the book, Speaker of the Kansas House of Representatives Mike O’Neal writes: “Dennis Hedke’s The Audacity of Freedom is a timely and welcome “from the heart” wake-up call for those who value freedom and America. Unapologetically, Hedke does not mince words in describing the combination of crises that threaten our country. His irrefutable and precise recitation of compelling facts and refreshingly candid faith and patriotism are infectious. He exhorts us not to stand by and suffer any longer the fools who have been insulting our collective intelligence and bringing us dangerously close to a socialistic irrelevance in the world. His book, in short, is important.” The public is welcome and encouraged to attend Wichita Pachyderm meetings. For more information click on Wichita Pachyderm Club. … Upcoming speakers: On December 9: Beccy Tanner, Kansas history writer and reporter for The Wichita Eagle, speaking on “The Kansas Sesquicentennial (150th) Anniversary.” … On December 16: David Kensinger, Chief of Staff to Kansas Governor Sam Brownback. … On December 23 there will be no meeting. The status of the December 30th meeting is undetermined at this time. … On January 6: Kansas Senator Garrett Love. … On January 13: Speaker of the Kansas House of Representatives Mike O’Neal, speaking on “The untold school finance story.” … on January 20: Sedgwick County Commissioner Karl Peterjohn. Economic freedom in America: The decline, and what it means. “The U.S.’s gains in economic freedom made over 20 years have been completely erased in just nine.” Furthermore, our economic freedom is still dropping, to the point where we now rank below Canada. The result is slow growth in the private sector economy and persistent high unemployment. This is perhaps the most important takeaway from a short new video from Economic Freedom Project, which is a project of the Charles Koch Institute. The video explains that faster growth in government spending causes slower growth in the private economy. This in turn has lead to the persistent high unemployment that we are experiencing today. … To view the video at the Economic Freedom Project site, click on Episode Two: Economic Freedom in America Today. Or, click on the YouTube video below.